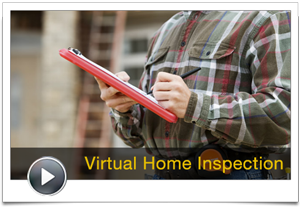 An Atlantic Building Inspection is a professional, thorough visual analysis of the property, both inside and out. Atlantic conducts a fair and impartial investigation disclosing a clear, fact-filled look at the building, outlining any strengths, deficiencies and maintenance recommendations. An Atlantic Phase 1 Environmental Site Assessment fulfills environmental due diligence requirements to provide you with the supporting documentation you need to make effective risk management strategies for your commercial investment. Atlantic Building Inspection Service, LLC has conducted thousands of building inspections and provides a professional, objective visual analysis and investigation into the present condition of the physical structure and mechanical systems of your investment. Thirty (30) years experience in all phases of building analysis & construction. How much confidence and peace of mind is enough? We provide professional, objective and thorough visual analysis of the property to reveal a true and accurate representation of its present condition, including strengths and deficiencies. Atlantic Building Inspection Service, LLC.